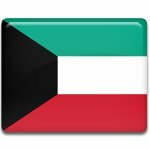 On February 26, the citizens of Kuwait celebrate Liberation Day. This public holiday commemorates the country's liberation from Iraq in 1991. Liberation of Kuwait was an event during the Gulf War. The Gulf War, sometimes referred to as the Persian Gulf War or First Gulf War, began on August 2, 1990, when Kuwait was invaded and occupied by the Iraqi Army. Occupation of Kuwait was met with international condemnations. A number of countries sent their forces to the scene, joining the largest military coalition since the Second Wold War. The Gulf War consisted of two operations: Operation Desert Shield and Operation Desert Storm. The Liberation of Kuwait was part of Operation Desert Storm. On February 24, 1991, the US troops crossed into Kuwait and headed towards Kuwait City. On February 27, Saddam Hussein ordered his troops to retreat. As a part of the retreat order, the Iraqi Army carried out a “scorched earth” policy. Although the Liberation of Kuwait campaign ended on February 28, 1991, Liberation Day is celebrated on February 26 so that it immediately follows the country's National Day. On this day, Kuwaiti citizens not only celebrate the liberation of their country, but also honor the memory of those who were killed during the Gulf War.